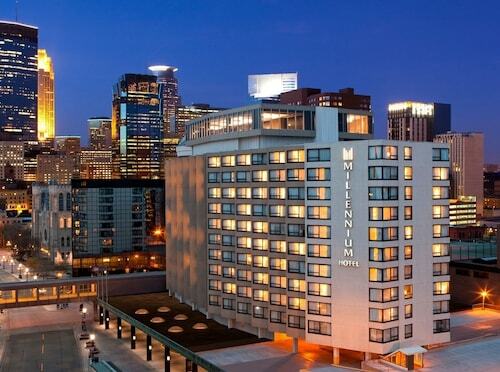 Located in Downtown Minneapolis, this hotel is steps from Skyway Theatre and Nicollet Mall. Target Center and State Theatre are also within 5 minutes. Warehouse - Hennepin Station and Nicollet Mall Station are within a 5-minute walk. So, you're planning a trip to IDS Center? To experience it, travel to Minneapolis - St. Paul. You'll soon find out what it is that makes this city such a hit with travelers. 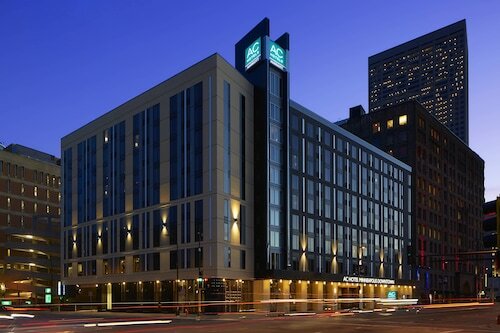 With as many as 21 accommodations within walking distance of IDS Center, it will be easy to find a room with all the conveniences to make your stay comfortable. 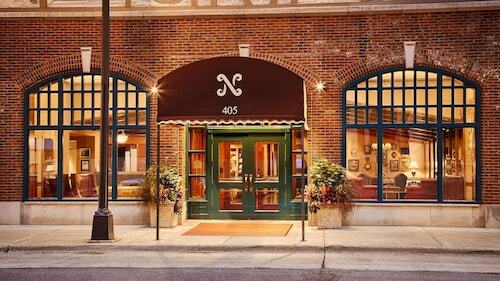 The Hotel Ivy, a Luxury Collection Hotel, Minneapolis, Residence Inn By Marriott Minneapolis Downtown and Loews Minneapolis Hotel are just a few of your choices. If you're the type of traveler that is fine without glamorous facilities and services, you can stay at one of a few budget accommodations that are not too far away. If you don't know where to start, consider the Days Inn Hotel on University and the University Inn. People who savor some of life's finer things will definitely be spoiled for choice based on the range of first-class hotels close by. 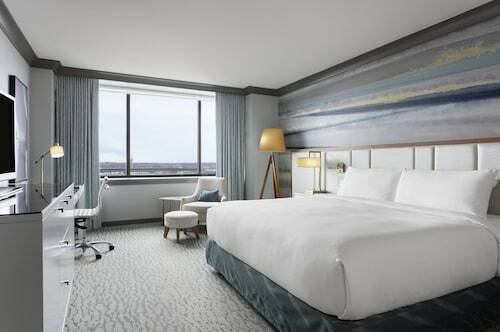 You should consider the Radisson Blu Minneapolis Downtown or the Kimpton Grand Hotel Minneapolis, only 0.1 miles (0.2 kilometers) and 0.2 miles (0.3 kilometers) away, respectively. Breathe in the distinctive aroma of freshly roasted coffee beans or try a pastry at People's Organic Cafe. It's a short walk away from IDS Center. If you need a meal that's a tad more nourishing, Nibbles McCart is in the neighborhood. Sharing a bottle of wine or beer at McCormick & Schmick's Seafood & Steaks might be just the thing after a busy day. It doesn't matter whether you're a fictional character, a local legend or a sporting great, you know you've made it if you have your own statue! Visit Mary Tyler Moore Statue and have a look. Wrangle the entire group together for a great photo in front of Foshay Tower, a famous building here. Inject some culture into your vacation by securing tickets to a play at Skyway Theatre. Buy tickets to enjoy a play and temporarily escape to another world at State Theatre. Head to New Century Theatre and enjoy watching its gifted actors perform. An easy journey on the metro is a convenient way to reach IDS Center. The closest station, Target Field Station, is just 0.5 miles (0.8 kilometers) away. How Much is a Hotel Room in IDS Center? Hotels in IDS Center start at $95 per night. Prices and availability subject to change. Additional terms may apply.